Ryan and I are getting ready to leave for our vacation to the Netherlands, Holland, the land of the Dutch, Amsterdam....all of the above. 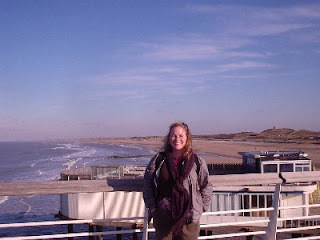 I have been there several times before on layovers, but I haven't been into Amsterdam proper. 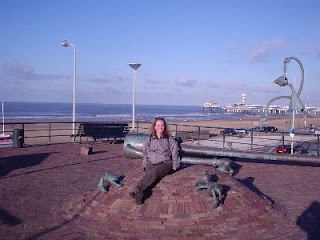 I usually just hang around the layover hotel in the Hague near Scheveningen beach. 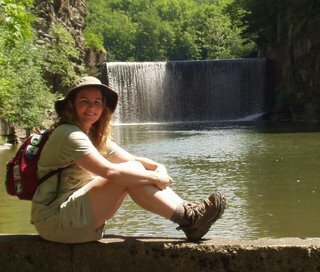 My good friend, Jenny just moved to Holland last year and they live near the Hague, so we will be staying with them while we adventure around the country. So watch this space for information about our adventures in the land of Windmills, Tulips, Wooden Clogs, Anne Frank and Hans Brinker and the Silver Skates! 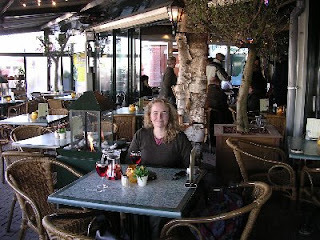 I visited Amsterdam briefly on a layover on my way to Israel - I found it charming and wonderful! We visited the Corrie ten Boom house, which was fascinating and worth the tour, especially if you have read the book 'The Hiding Place'. But other plans are rather vague. And dikes that hold the raging sea. We'll shop; and then we'll take our ease. This lovely land our awe commands. If you have a little free time, take a ride on the Spoorwegen down to Delft - a charming city. You'll need to change Spoorwegens in Leiden or Den Haag! The company I support Ahold is HQed in the Netherlands. I work with a lot of the NL crew and I support some of their systems. I have never been but a few of my co-workers have. I understand it is a great time. Can't wait to read about your adventures. Have fun you two ! You are going to love it! Take a canal tour in Amsterdam and make sure to see the Anne Frank house. We got to see cheese being made and wooden shoes being made too. Have a great time! According to our daughter who visited last year (she's always doing stuff WE haven't done yet! ), the Anne Frank house is a must. Have a wonderful time! !